Denying millions of more vulnerable Americans health care while cutting taxes for millionaires and billionaires is unacceptable. 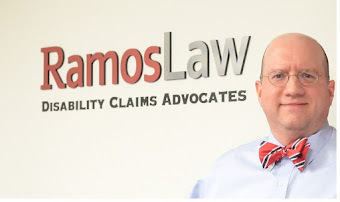 Ramos Law is strongly opposed to the AHCA and fully supports the actions of those in the disabled community who have voiced their outrage over this “mean” proposal. AHCA, if passed, would throw approximately 24 million people off health insurance and raise costs of premiums. Ten million current Medicaid enrollees have disabilities and are now at risk of losing their health insurance. Loss of basic health insurance and healthcare will have devastating repercussions. SSDI claimants who have lost health insurance will lose access to doctors’ visits, making it harder to obtain the medical evidence needed to support their cases. Medicaid and SSDI work hand in hand in supporting people with disabilities in living independent and healthy lives. Many people rely on both the healthcare they have through medicaid and the supplemental income they receive through SSI and SSDI. In a press release, representatives from ADAPT expressed concerns that with AHCA’s cuts to Medicaid, many Americans with disabilities will be institutionalized against their will because they will no longer be able to afford the resources that they need to live independently.